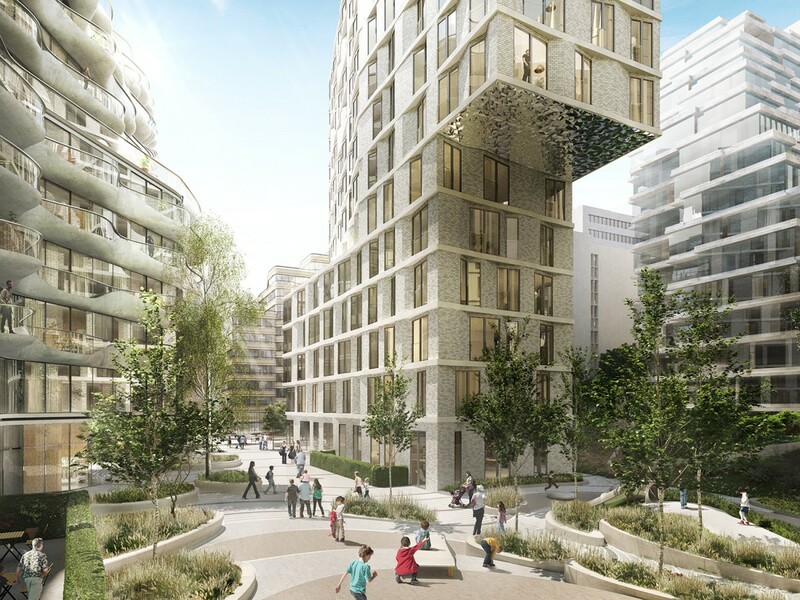 Spacehub worked alongside Acme on the regeneration of an existing Guinness Trust housing estate that will deliver homes for new and existing residents and new retail units. 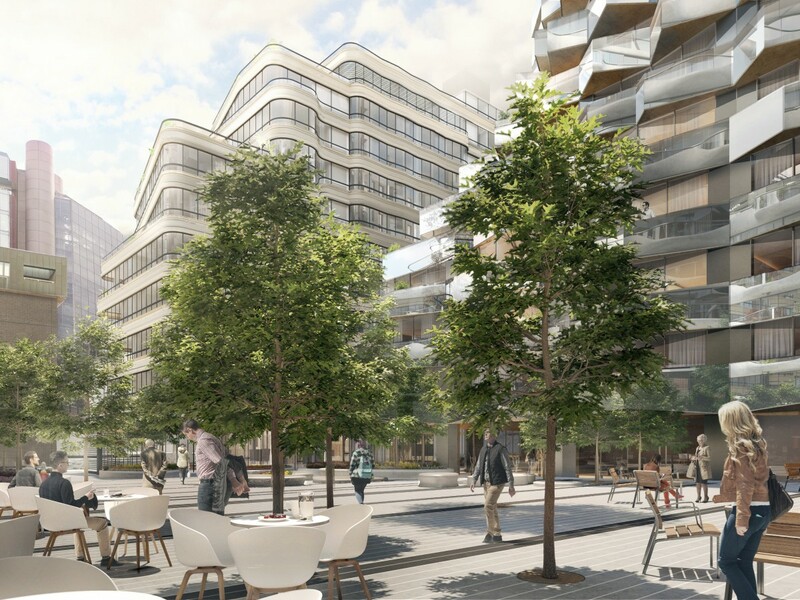 The wider Aldgate area is undergoing a significant amount of regeneration, of which this scheme is part. 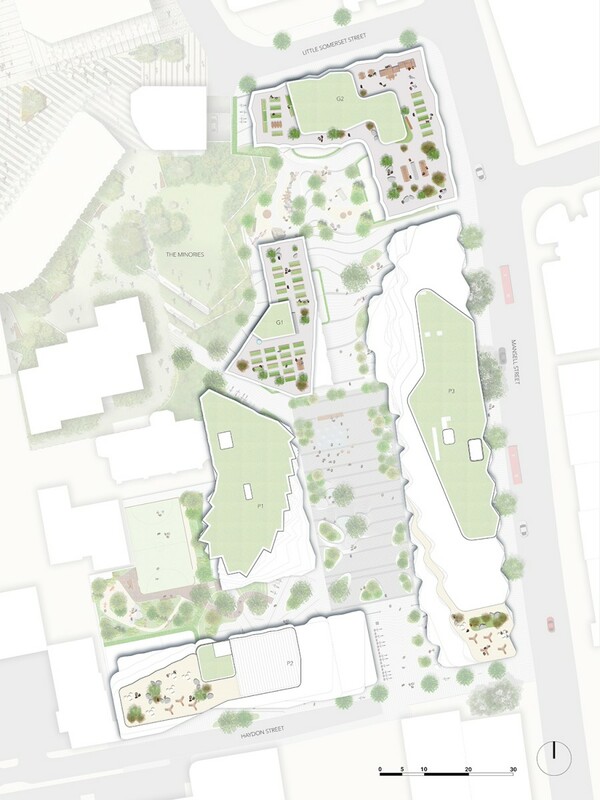 Collectively this regeneration will bring an array of benefits to the local community including new public spaces, new pedestrian connections with existing public transport infrastructure and enhancements along the length of Mansell Street. 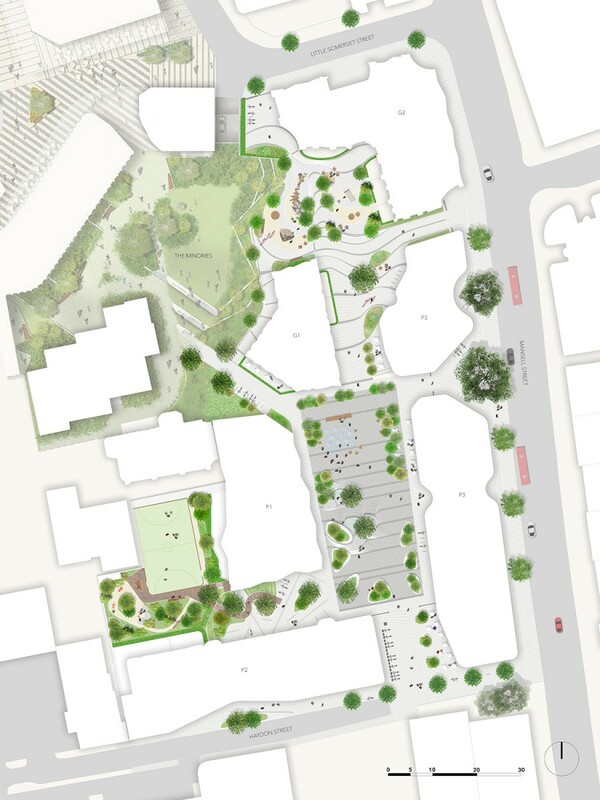 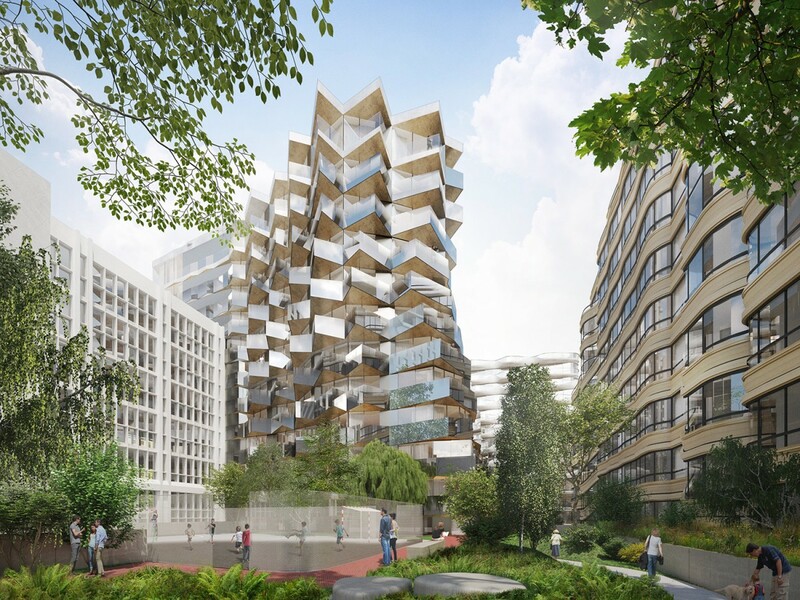 The landscape proposals include the retention of existing, and planting of new, street trees along Mansell Street. 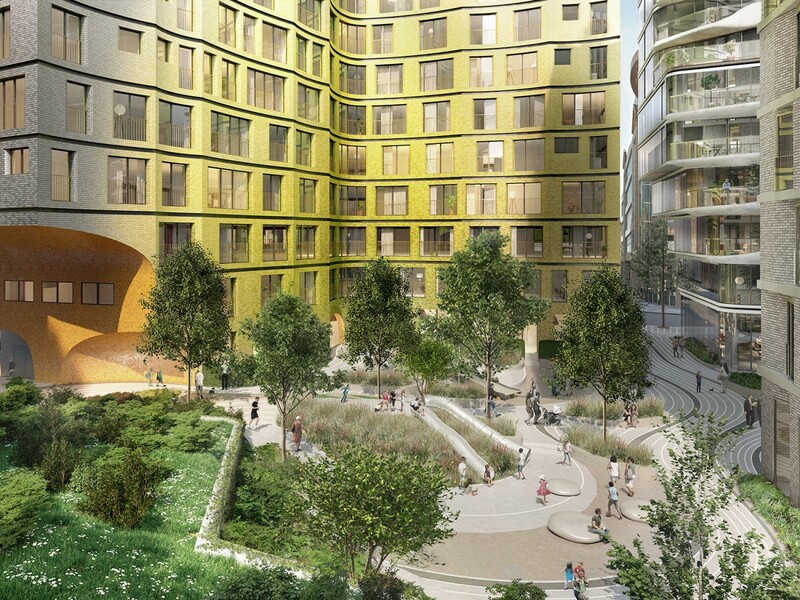 At ground level 3 new public squares will feature play and sports areas, a water features and fitness equipment. 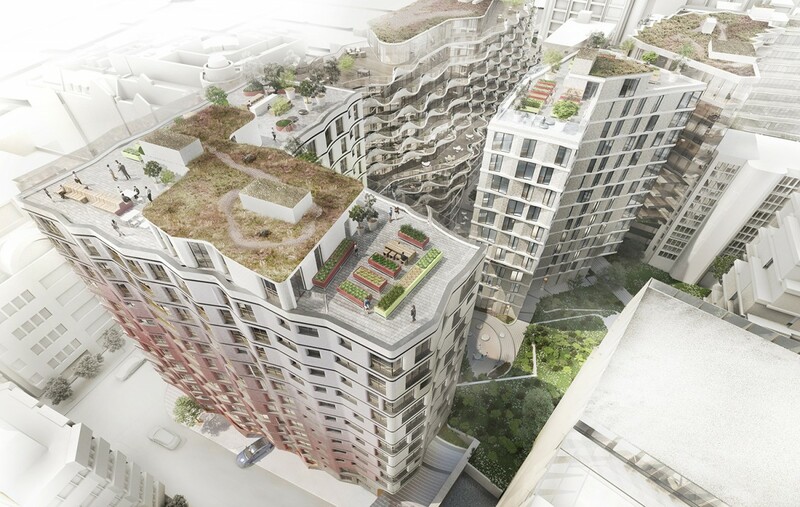 At roof level residents will benefit from community gardens and allotments.